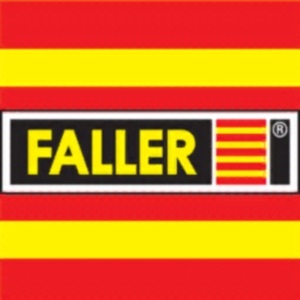 Enjoy Faller Car System Digital Mobile from GamesOnTrack on your iOS device. This app enables you to connect with the PC-software, and lets you interact with your cars. 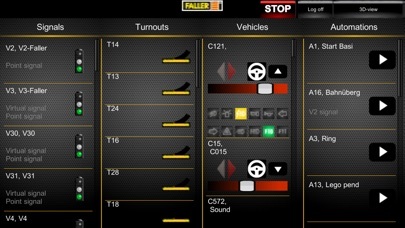 With the app you can control the speed, direction and functions of your vehicles, the state of your signals and turns, and you can start and stop automations on the computer. Everything directly from your mobile device. The app is built around a plug-and-play principle, and thus no setup is needed! The application searches your local network and presents a list of possible connections to you. All you have to do is pressing connect. 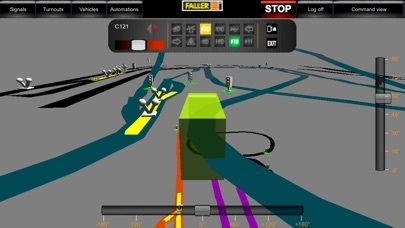 Users can browse a 3D animation of the track equipped with 3D models of signals, turns and vehicles using intuitive finger gestures. Two modes are offered: 1) A bird's eye view of your track, where you can see your entire track and all objects on it, and 2) a one-vehicle view, where you can sit back and enjoy the ride from the view of one of your model vehicles. You can control all objects on your track at all times. 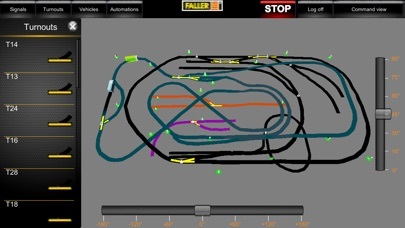 Features: - Control the state of signals and direction of turns on your model track. - Control the speed and direction of your vehicles, or activate one of the functions on your vehicles. - Start and stop automations. - View and navigate around in a 3D model of your model track, equipped with signals, turns and real-time localization of your vehicles. 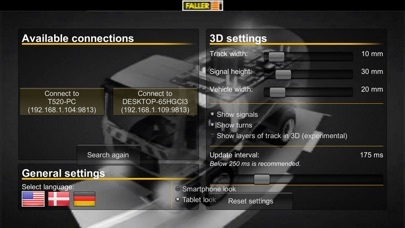 The app does not provide any functionality without a computer on the local network running Faller Car System Digital.